Posted on October 25, 2015 by David Tate, Esq. 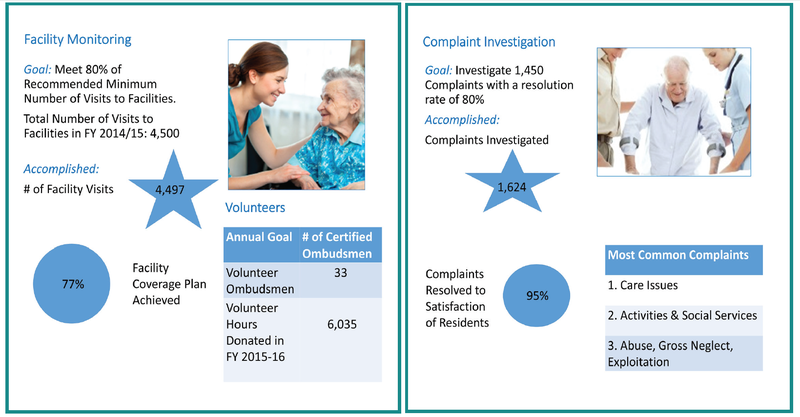 Below is a link to the San Mateo County, California, Ombudsman Services annual report for 2014-2015. The report shows amazingly substantial services for the year, including for example, 4,497 facility visits, and 1,624 investigations. As you might know, Ombudsman Services of San Mateo County, Inc. is committed to working with residents, families, facilities and stakeholders to create a community dedicated to protecting the rights of all residents living in long term care in San Mateo County. They challenge long-term care facilities to deliver the highest standards of individualized care for their residents, and advocate for the health, safety, and dignity of these residents and broader changes in the system. And please do pass this information and blog post to other people who would be interested in these very important services. Thank you. Posted on October 7, 2015 by David Tate, Esq. Click on the following link for a copy of the new California End of Life Option Act, End of Life Option Act. I’m just spotting elder and dependent adult abuse issues here – I’m not discussing political, religious, personal, ethical or other issues. The Act proposes to include protections to ensure that a person who uses the Act is not being unduly influenced. Obviously undue influence, duress, fraud, etc. are concerns in any situation. By my count undue influence is listed 5 times in the Act, so it is an obvious concern. You can match that concern with similar efforts to influence an elder’s estate planning or gifting, and also with the new California revocable transfer on death deed which I discuss at this prior blog post http://wp.me/p1wbl8-cI. Having an outside third person, as the Act provides, assert that the person using the Act hasn’t been unduly influenced is not necessarily trustworthy as the third person has not been personally present to observe and hear what influence, fraud or duress, if any, has been attempted, including simply negative statements about how awful or useless life has become. I have also seen situations where it was thought that a person was ill or injured, and would die, only to find out later that the cause was improper medications or some other undiagnosed reason, and the person recovered with proper diagnosis and treatment. As I said, I’m just spotting issues here. People need to be vigilant.